Join us for an exciting evening in Los Angeles! Meet Dean Van Slyke, Maxwell School of Citizenship and Public Affairs, Louis A. Bantle Chair in Business-Government Policy and Professor of Public Administration and International Affairs, and Carlos Enrique Caicedo Bastidas, Associate Professor at the School of Information Studies and Director of the Center for Emerging Network Technologies (CENT). Our experts will discuss how drones and autonomous technology are being used in research and teaching efforts across campus and beyond and the importance of creating policy to keep pace with this technology. Ask questions and learn from the experts about how this emerging tech plays a role in everyday life-in ways you might never have imagined. Enjoy alumni networking receptions, along with a fun and informative panel discussion! *The SM-1 parking garage across from The Paley Center charges $2 per hour for parking. After 6 p.m., parking is free. Cost includes drinks, appetizers and program. 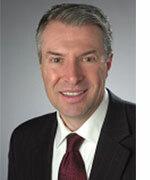 David M. Van Slyke is Dean of the Maxwell School of Citizenship and Public Affairs at Syracuse University and the Louis A. Bantle Chair in Business-Government Policy. Van Slyke is a leading international expert on public-private partnerships, public sector contracting and contract management, and policy implementation. Van Slyke has worked extensively with senior leaders in government, nonprofit and business organizations in China, India, Peru, Singapore, Thailand and other countries through the Maxwell School’s Executive Education program. 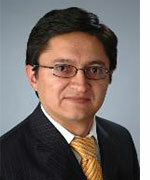 Carlos E. Caicedo Bastidas is an associate professor at the School of Information Studies at Syracuse University who also serves as director of the Center for Emerging Network Technologies (CENT). His research interests focus on Dynamic Spectrum Access, new wireless markets and technologies, information security, and agent-based modeling. He holds a Ph.D. in Information Science from the University of Pittsburgh, and M.Sc. degrees in Electrical Engineering from the University of Texas at Austin, and from the Universidad de los Andes, Colombia.